A daily activity undertaken by vast percentages of the population (when was the last time you glanced at your phone to catch your latest updates? 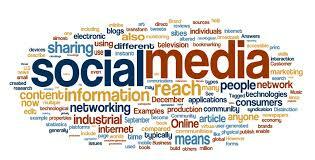 ), social media is an easy, accessible way for brands to communicate with, and excite demographics. As a hugely varied platform, going social can boost brand awareness, increase leads, sales, and amplify marketing efforts – so what should you be considering to make the most of its potential for your business? How do you write exciting, engaging social posts? Know why you’re using social media. Firstly, writing for social media isn’t simply a case of hashing together any 140 characters and tweeting them, or brazenly plastering your latest product all over Facebook and Instagram. That won’t get you anywhere. To post well, you have to know a little about the context of the environment you’re working with, how best to approach it, the reasons your demographic is there, and what you can gain from them. So before pledging your allegiance to one network or another, identify why social media is an investment for you. Sketch out goals – what metrics are important to prove success? Likes and follows? Traffic increases? New leads and sales? Brand awareness/ reputation improvements? Or better customer service? Once you know what you want to achieve, you need to develop your social voice. Your representative tone needs to be accessible, fit with the site you’re using and remain reflective of brand image. For best, simplistic engagement, brand tone of voice should be seamlessly unified on posts across networks – presenting one cohesive, social personality. This does not mean you should post duplicate or identical content across all networks however, as this can make campaigns stale, boring and repetitive, and cause audiences to lose interest. Knowing your demographic will largely dictate your tone and your network of choice. Don’t, for example, invest time in a Facebook page if your audience isn’t active there. Before embarking on a social campaign, consider who your key social demographics are, how they want to interact with you, and where they’re active, then match your content to spark their interest. For example, if you offer visually appealing products, or inspire user creativity, you may have customers who are heavily into Instagram or Pinterest, so get creative. You may even generate a little UGC (user generated content). Know what you should be posting. Everything you post, like, and retweet acts as an ambassador for your brand, so appropriate posting – professional, polite, and well spell-checked is crucial. Tweak style to suit platform – ie. perhaps be more ‘light’ and less corporate on Facebook than LinkedIn – and keep it varied using features such as polls, hashtags and discussions to inspire and assure followers of your presence. When it comes to actually writing posts, as with all content it’s important to keep things fresh. But unlike other content forms, with social media you have much more content variety! Images and video have great response rates, so regularly mix your approach across all social networks – to ask questions, create polls and quizzes, share pictures and details about your other social accounts, and of course post brand news and promotional information. Remember that shorter posts inspire higher engagement, as does asking questions – so never be afraid to simply ask for a few likes or RT’s! Lastly, you’re aiming to build better relationships with customers by ‘humanising’ your brand, which requires dedicated time. Regular connected interaction and social attentiveness (i.e. – responding to customer posts, retweeting and replying), will encourage engagement, regularly reminding followers of your existence, and boosting the effectiveness and reach of your -well considered- written posts. Alastair Kane is a freelance writer and business blogger. He provided this article on behalf of Communicaid a culture and business communication skills consultancy in the UK. Wow! Your post really helpful. I like this Idea. I hope I will visit this page soon. Please carry on.